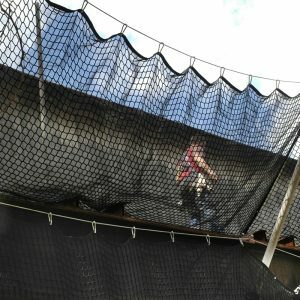 Whatever the job, it’s always smart to use Safety Netting. Personnel safety netting and debris containment nets keep your workers and the public safe, protecting adjacent properties while preventing loss of valuable material and time. Our safety netting can provide personnel fall protection and debris protection– all in one system. Debris netting, when combined with structural netting as a backing ,provides the highest strength in applications requiring heavy debris containment. 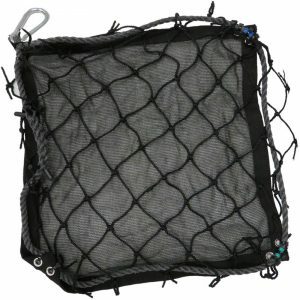 The personnel netting is made of high tenacity Polypropylene diamond or squared mesh designed to meet your most rigorous construction demands. In addition, our nets are certified to meet the requirements of the BS EN 1263-1. of Engineers and all applicable OSHA safety rules and regulations. Personnel safety nets are typically installed during building and bridge construction, overpass and tunnel work, industrial yard maintenance and during energy and oil facility turnarounds. Personnel Safety Netting improves productivity and reduces downtime from injuries and clean up. Easy to install, easy to use, low maintenance, low cost. 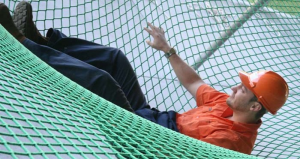 Personnel netting is not only an on-the-job safety requirement, it’s good for your personnel’s morale. Protect your most valuable asset, your personnel, and keep your job site on time and in compliance by installing our products.